Ramie (pronounced Ray-me), one of the oldest textile fibers, comes in two forms. Boehmeria nivea is also known as white ramie or China grass. It has been cultivated in China for thousands of years under the name zhuma. Boehmeria nivea (var. tenacissima) is also known as green ramie or rhea. Ramie fibers come from the stems of the plant. They are harvested just before or right after the flowers bloom by cutting near the roots. The stems are processed in a manner similar to that used for transforming flax fibers into linen fabrics. The ramie stems go through the following steps to produce fibers suitable for spinning: (1) decortication-breaking up the hard outer bark to create long ribbons of bark and fiber; (2) degumming-immersing the fiber in caustic soda and heating in a closed container; and (3) washing and drying. The leading producers of ramie include China, Taiwan, Korea, the Philippines, and Brazil. Ramie is also produced in India, Thailand, Malaya, Queensland (Australia), Mauritius, the Cameroons, West Indies, Mexico, the southern states of the United States, and in south Europe. Ramie fibers were used for burial shrouds in ancient Egypt and ancient China. They have been used for centuries in Korea for the hanbok, Korea's traditional costume. Ramie has for the most part been used in the country in which it was produced. In the 1970s a loophole in the Multifiber Arrangement (MFA) allowed ramie fiber to be exported without import restrictions as long as at least 50 percent of the fabric was made of ramie. This encouraged the use of ramie in blends and contributed to its popularity in the 1970s and 1980s. The MFA was modified in 1986, thereby closing the loophole. In the twenty-first century, ramie, either in blends or alone, is used for a wide range of clothing: dresses, suits, sportswear, and underwear. Other uses include gas mantles for lanterns, ropes, nets, fire hoses, table linens, filter cloth, upholstery, straw hats, and sewing thread. Since ramie used for apparel is most often blended with other fibers, the care of the fabric can vary. 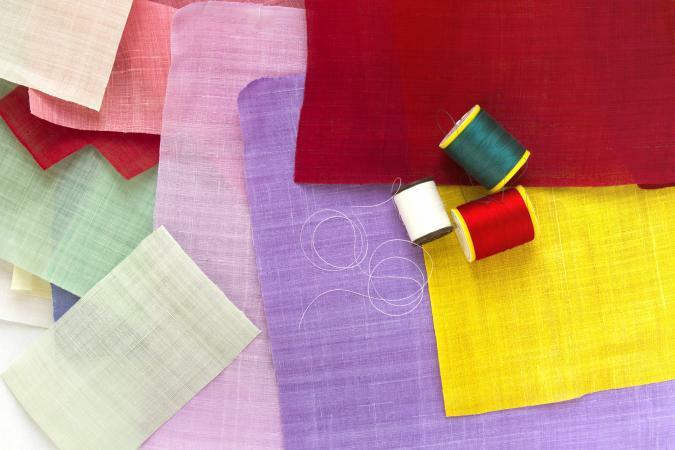 Fabric made from 100 percent ramie may be machine washed, machine dried, and ironed at high temperatures. Dry cleaning (if safe for the dyes and finishes used) is best at preserving the color, shape, and wrinkle-free appearance of fabrics made of ramie fibers. See also Fibers; Korean Dress and Adornment; Shroud. Collier, Billie J., and Phyllis G. Tortora. Understanding Textiles. 6th ed. Upper Saddle River, N.J.: Prentice Hall, 2000. "Ramie." In The 1911 Edition Encyclopedia. Previously available from http://18.1911encyclopedia.org/R/RA/RAMIE.htm. Korean Information Overseas Information Service. "Ramie Clothes." Available from http://www.korea.net/learnaboutkorea/library/magazine/pictorial/199908/19990801.html . Scruggs, Barbara, and Joyce Smith. "Ramie: Old Fiber -New Image." Ohio State University Extension Fact Sheet (HYG -5501-90). Available from http://ohioline.osu.edu/hyg-fact/5000/5501.html . Tondl, Rose Marie. "Ramie." Nebraska Cooperative Extension (NF 91-45). Available from http://digitalcommons.unl.edu/cgi/viewcontent.cgi?article=2442&context=extensionhist. Wood, Ian. "16.2 Ramie: The Different Bast Fibre Crop." The Australian New Crops Newsletter, no. 11 (January 1999). Previously available from http://www.newcrops.uq.edu.au/newslett/ncn11162.htm.